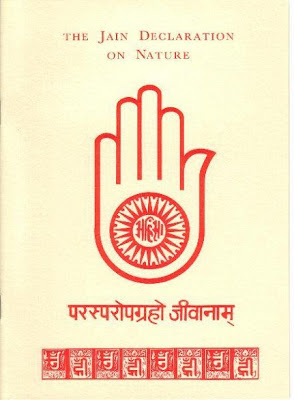 Anekantavada is a basic principle of Jainism developed by Mahavira (599-527 BC) positing that reality is perceived differently from different points of view, and that no single point of view is completely true. Jain doctrine states that only Kevalis, those who have infinite knowledge, can know the true answer, and that all others would only know a part of the answer. Anekantavada is related to the Western philosophical doctrine of Subjectivism. 'Ekanta' is one-sidedness. Anekantavada is literally the doctrine of non-onesidedness; it is often translated as "non-absolutism".Anekantvada encourages its adherents to consider others views or beliefs. They should not reject a view simply because it uses a different perspective. They should consider the fact there may be truth in others' views too.Many proponents of Anekantvada apply the principle to religion and philosophy themselves, reminding adherents that any religion or philosophy, even Jainism, that clings too dogmatically to its own tenets is committing an error based on its limited point of view. In this application, Anekantvada resembles the Western principles of cultural and moral relativism.